With noble roots in the Italian Renaissance, the Salon was once considered the most important place for the exchange of ideas. Hosts in 17th Century France said the goal of every Salon is "either to please or to educate". Today, we do both. Winemaker Salon is the perfect evening for people who love wine. 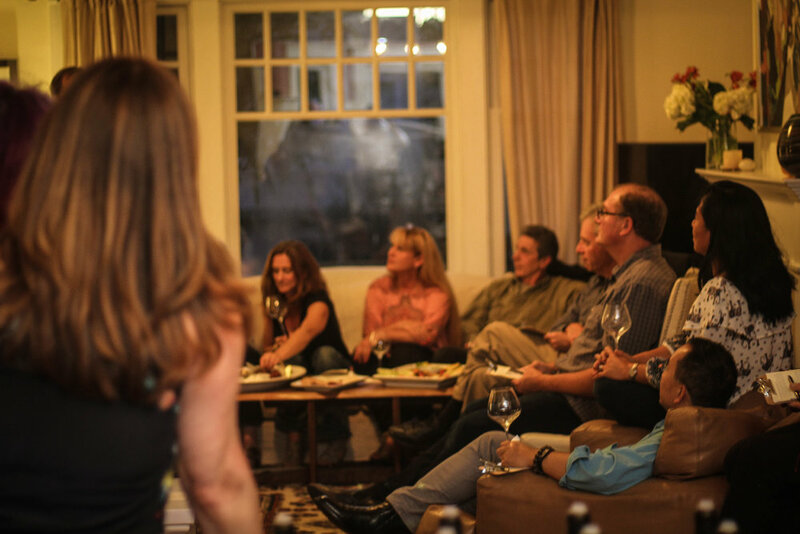 We bring outstanding winemakers into private homes and share the stories behind each bottle along with perfectly paired bites. 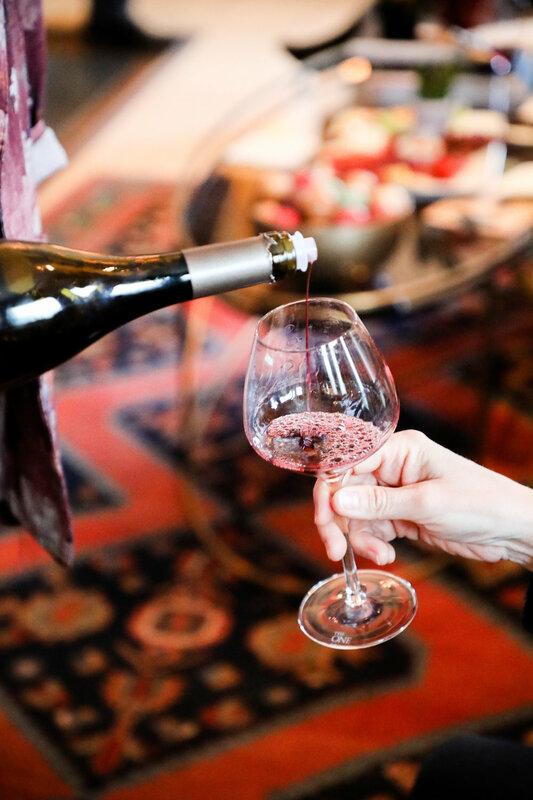 You’ll discover new wines, meet their makers, mingle with other wine lovers, and have access to top-notch, small production wines, many of which you’d be hard pressed to find elsewhere. 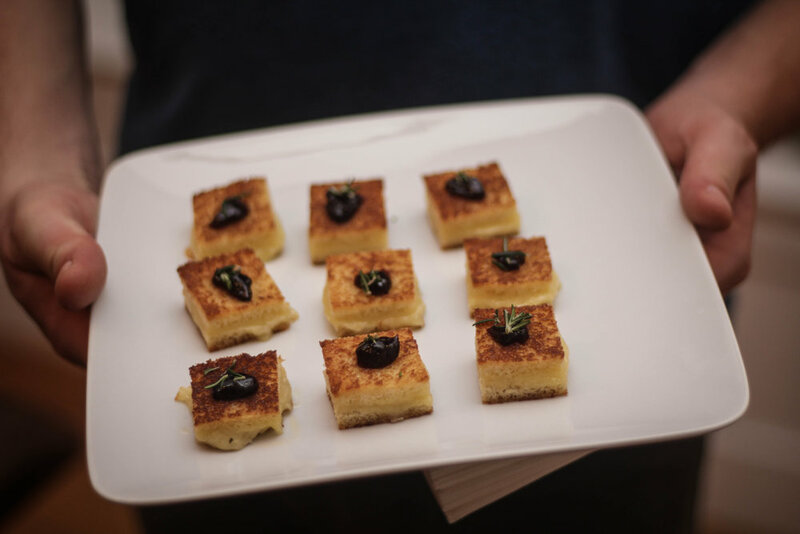 Come for a delicious and educational evening of food, wine and community in private homes throughout the San Francisco Bay Area. Sign up to be notified when Salon tickets go on sale. Perfect for friends, family or co-workers. We'll do all the work while you enjoy being a guest at your own party. Drop us a line to learn more! Limerick Lane is a world-class winegrowing estate located in the Russian River appellation of Sonoma County. They grow, produce and bottle the finest estate fruit and make wines of the highest caliber and distinction. Wines that transcend conventional classification, that can’t be replicated, and that express the singular uniqueness of the Limerick Lane Vineyard. A Philosophy and Religious Studies major in college, Jake Bilbro grew up in the wine business. He learned viticulture and winemaking from his father Chris, Founder of Marietta Cellars. Jake is the 3rd owner in Limerick Lane's 100+ year history. The Del Fava family were the original owners who believed in its potential and became stewards of the land that sits in a small unique microclimate just south of Healdsburg. In the mid 70's, brothers Michael & Tom Collins purchased the land and built a winery. Jake became the current caretaker and winemaker of this historic site in 2011. His talent and energy ensures that Limerick Lane will continue to produce its stunning Zinfandels and Rhone-styled varietals & blends well into the next generation. Our salons happen monthly, in private homes throughout the Bay Area. This certificate is good for any Salon during the 2019 season. GIFT CERTIFICATES ARE GOOD FOR ANY SALON AND ARE SURE TO BRING DELIGHT. Cynthia is an east coast transplant obsessed with food, wine and sharing with others. What started as a summer job at 13 working for a catering company on the New Hampshire seacoast evolved into a lifelong passion. Backpacking through Europe after college exposed her to further flavors and customs that prompted a desire to move to San Francisco to learn about wine. After a few detours in the business world Cynthia finally returned to the food and wine world as a sales rep with Illy Espresso. This subsequently morphed into the wine department at Canyon Market in San Francisco where she had the pleasure of tasting some of the finest wines and connecting with exceptional winemakers. Today, The Winemaker Salon is a culmination of all of her desires to bring people together. 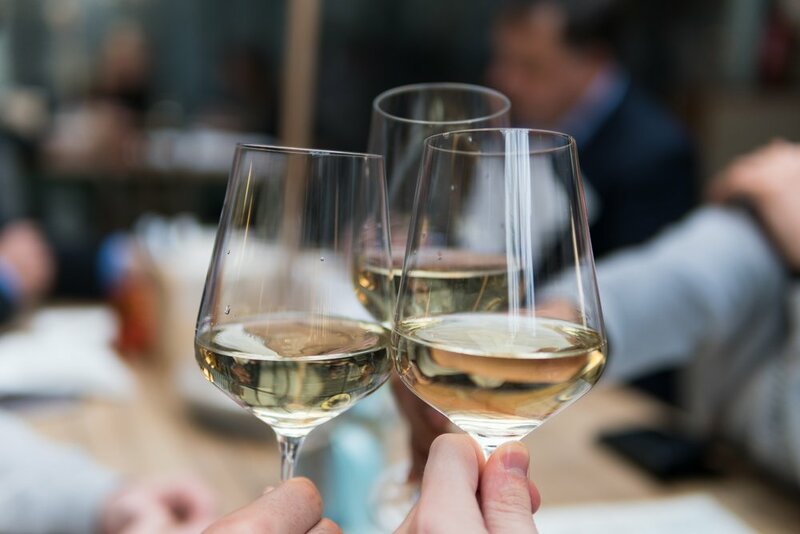 It's an opportunity to learn the story behind the wine and to try new delicious pairings, all while bringing back the beauty of the salons of yesteryear…. If six years of living in Paris taught Joshua Clever anything it was to appreciate seasonal, local and sustainably grown food. Highly influenced by the therapy and value of a whole foods diet, Joshua decided to return to California and pursue a career in the culinary arts. He became a certified Natural Chef at Bauman College in 2008, a culinary program based on holistic nutrition. Being an avid yogi, Joshua was interested in marrying his two passions, food and yoga. After working years as a private chef under his own company, Urban Provisions, he decided to bring a third element into the mix, wine. Life is about balance and for Joshua, yoga + food + wine is the perfect combination to achieve just that. Joshua continues to work as a private chef, co-hosts yoga retreats down the California coast, leads health & well-being inspired culinary classes, and offers food & wine pairing events in the Bay Area. 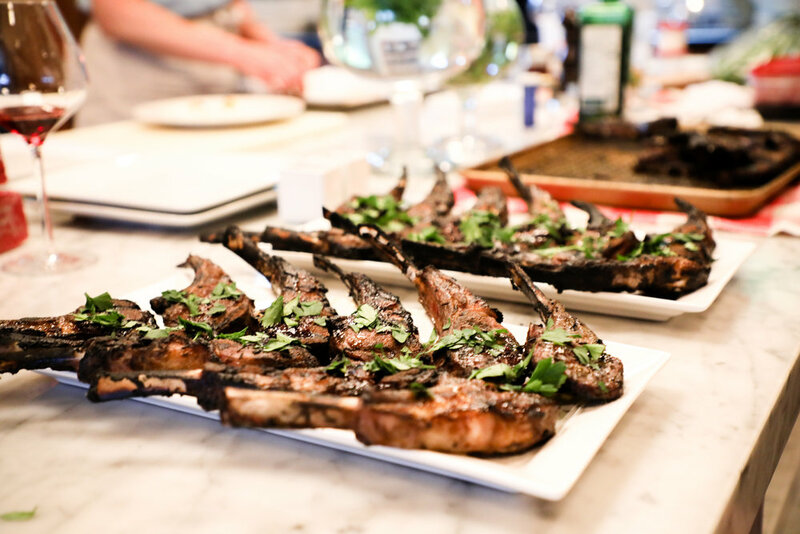 Anne Olson is a private chef with over ten years of experience in the food industry. While attending Princeton University, Anne returned to her native Bay Area to work as a summer intern downstairs at Chez Panissse. Under the tutelage of then Executive Chef, Chris Lee, Anne’s passion for cooking developed in to a desire to focus on food as a career. After graduation, she pursued her dream and moved to Italy, where over the course of six months she honed her culinary skills at Ristorante Muffaffe in Forli, Emiligia Romagna; and at ItalCook, the school of regional Italian Cuisine in Jesi, Marche, established by the Slow Food headquarters. Anne now runs her own business here in San Francisco, where she executes high-end events for private clients. Her menus are inventive, in season and will make you hungry for more. Brooke Lewy found her way into a professional kitchen at Delfina Restaurant in San Francisco’s Mission District, in 2012. Working her way up the line from guarde-manger to the grill/sauté station and eventually to pastry assistant, Brooke built upon the skills she developed as a passionate home cook and learned classical technique, recipe development and flawless execution. 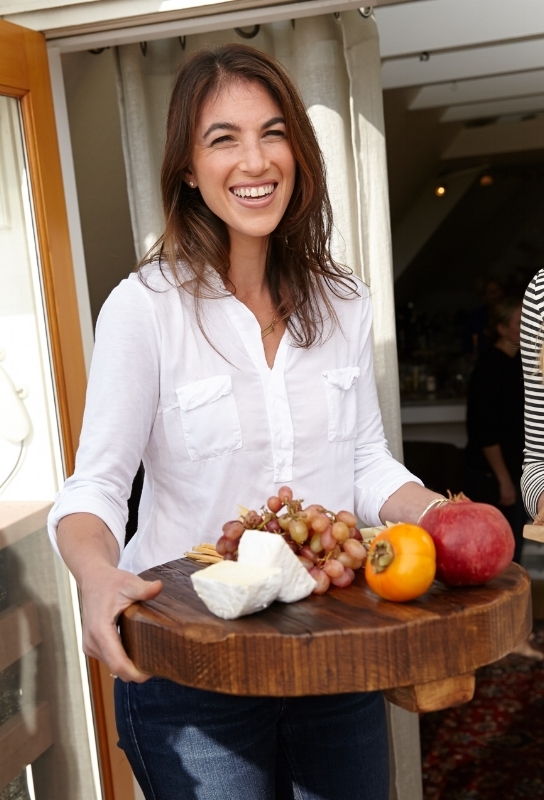 In the past several years, she has become immersed in San Francisco’s food community. In addition to working with us at the Winemaker Salon, Brooke is consulting for the Center for Urban Education about Sustainable Agriculture (CUESA), the organization that runs the Ferry Plaza Farmers Market, and volunteering for the nonprofit 18 Reasons. She is also in the midst of developing a cookbook for Chronicle Books. Thanks for visiting! Whether you're a winemaker, a wine lover or just passing through - we'd love to hear from you. If you're interested in a hosting a private salon, let us know some dates you're thinking about and we'll make it happen!